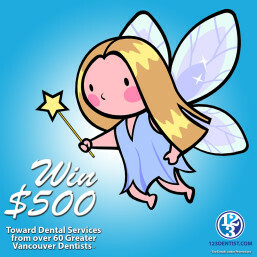 The Tooth Fairy and 123 Dentist have joined forces to bring you a contest that will keep you smiling the whole year through! 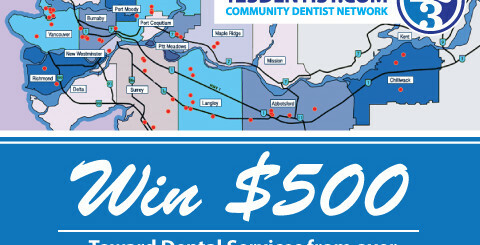 Every month we will have a whopping $500 gift voucher to give away to one lucky winner to use at any of our over 60 locations across the lower mainland, including Chilliwack and Whistler. We want you to have the smile of your dreams, and now it’s never been easier. It’s as simple as visiting the 123 Dentist Facebook page! We give you the option of submitting a number of entries in different ways like telling us how often you smile, how often you brush and floss, by following us on Twitter, joining our mailing list, or, if you’ve heard about the contest on the radio, you can enter the radio secret word. Just telling your friends about the contest will earn you 10 entries! Keep in mind that the entry methods change every month, so don’t forget to read the fine print. You can see all of the entry options on our website or on the facebook contest page. How many times can you win? You can win multiple times as long as it is not more than once every three months. The prize can be gifted so family or friends who want to help you get the smile you deserve can also enter the contest on your behalf. If you’d like to read the full terms and conditions, you can view them here. 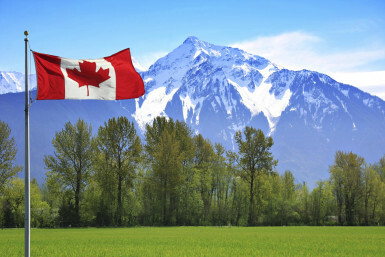 For this contest anyone is eligible to win as long as they have properly submitted their information and are a resident of British Columbia over 19 years of age. You don’t have to be a client of 123 Dentist prior to the contest, nor is the contest restricted to one win or entry per family, so feel free to have the whole family join in! And how about if you have won a 123 Dentist contest in the past? Absolutely! We are starting with a clean slate for this contest so that everyone has a chance to win. Why did we change the contest? Previously, our contests were a weekly affair, and were for $100 Visa cards. While that’s a nice prize to receive, we just didn’t feel it was personal enough. It’s like giving a loved one cash instead of something thoughtful and handmade. To us, this $500 voucher is our handmade gift to you, and represents how much we like taking care of the people in our communities. It’s still a work in progress, and if you have any suggestions or thoughts on what else we could do to improve this contest, we’re all ears. We want to know what you would do with a $500 voucher! 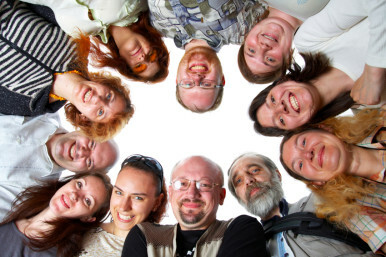 Teeth cleanings, braces, oral cancer screenings, teeth whitening, dentures, implants, and so much more are available at our 123 Dentist locations. What would you spend your winnings on to get your best smile ever? Head on over to our Facebook page and tell us what you would do with your winnings!